We’ve all had those days: You just want to stay in bed instead of going into work and dealing with other people, but that’s not going to pay the bills. 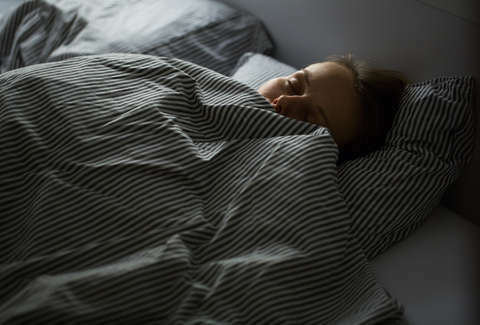 Professional napper still isn’t a viable career choice, but it turns out NASA is looking to pay people a decent amount of cash to stay in bed for two months straight. It’s not a career, but maybe be somewhat of a sabbatical while you look for something you actually enjoy doing. NASA, along with the German Aerospace Agency and the European Space Agency, is looking for 24 volunteers to lie in bed for 60 days as part of a study to “research how the body changes in weightlessness,” according to a statement about the gig. Evidently, bed rest simulates the conditions astronauts experience in space -- without the lack of gravity, freeze dried food, and danger. Scientists will use the results to reduce the negative effects of weightlessness on astronauts. Volunteers will live in a single room, and will be divided into groups, according to ABC News. One group will be rotated around in a centrifuge, not unlike what you’d experience in an artificial gravity chamber. This rotation will force blood back into the extremities, hopefully offsetting the negative effects of not getting up and walking around for 60 days straight. The second group won’t be moved, so… best of luck to them. NBC News reported that participants will have to do everything lying down. They’ll eat, exercise, get dressed, shower, and everything else the human body requires while lying flat on their beds. Additionally, each bed will be tilted slightly downward to encourage fluids to pool in the upper body, which sounds great, right? Meals will be curated by nutritionists, according to a report from CNN. The German Aerospace Center noted on its website that the meals are not “extra healthy,” and will occasionally include pancakes or other sweets. Pancakes in bed! This job is open to anyone, but there are a few requirements. For starters, they’re looking for German-speaking non-smokers. Volunteers should be between the ages of 22 and 55. They’re currently looking for 12 men and 12 women to participate. Volunteers will be paid about $19,000 for their participation. You spend most of your life in bed as it is, why not get paid to do it for a little while. If you think you’re the right fit for this job, apply here. It’s one small step for mankind, one giant leap for lazy folks.